Welcome to caseforest.com Before your transaction can be completed, you must read and agree to these terms and conditions. This Agreement is subject to change by caseforest.com at any time; therefore, you are responsible to review these terms regularly to learn about any changes. Your ongoing use of caseforest.com after we post changes to this agreement means that you accept the new terms. This agreement is governed by the laws of the Government of India and you hereby irrevocably consent to the exclusive jurisdiction and venue of the courts in Ranchi, Jharkhand, India in all disputes arising out of or relating to the use of caseforest.com's services. "You" as referred to in this Agreement shall mean: the entity or person who access or uses the Site as an end user. "Login," as referred to in this document shall mean: The combination of unique username and password that is used to access a site. A login is a license to use a site for a period of time that is specified. "Membership," or "Members" means as referred to in this document shall mean: a single registration and/or subscription account per user of a valid username and password (login) for the site during the term of membership. "Site" or "caseforest.com," as referred to in this document shall mean: The website for which you are purchasing a username and password (login) from caseforest.com in order to access the site and its materials and obtain the benefits of membership. 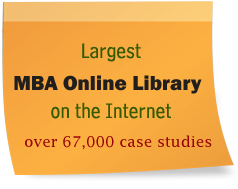 caseforest.com is an online service that offers members access to its research database and content, and gives members the opportunity to share their own content and research. We will provide one login to access the site and its contents for which you are purchasing a membership. We offer the Sites for informational, educational, and entertainment purposes only. You may use caseforest.com only for lawful purposes. You agree to pay all fees and charges that you incur subject to the payment terms that will be disclosed to you at the time you make your purchase. Payments are recurring until cancelled by you or a request for cancellation is received from you. When you make a purchase from us, you must provide us with a payment method. You must be authorized to use the payment method. You authorize us to charge you for the service using your payment method. You will pay service charges in advance. You will receive an email receipt to their email provided upon initial subscription of your membership. The research materials and other content offered on the sites are provided "as is" by others and made available for research, reference, informational and entertainment purposes only. We are not liable for content or materials that are prepared by, posted or provided by others and by our advertisers. We are not responsible for content on the Internet. We have no duty to pre-screen content. We do not condone, encourage, or knowingly take part in plagiarism or any other acts of academic fraud or dishonesty. We reserve the right to remove content from the Sites for any reason, but we are not responsible for any failure or delay in removing such material. Provided that you have a valid and active membership, we grant you a single login to access the service or material located at the Sites. This login shall be granted for sole use to one end user per membership account. All memberships are provided for personal use and shall not be used for any commercial purposes or by any commercial entities. Commercial use of either the Sites or any material found within is strictly prohibited unless authorized by us. No material within the site may be transferred to any other person or entity, whether commercial or non-commercial. In addition, materials may not be modified, or altered. Materials may not be displayed publicly, or used for any rental, sale, or display. Materials shall extend to copyright, trademarks, or other proprietary notices there from. You agree to assume the responsibility to notify us immediately if any breach of security, theft or loss of login, or unauthorized disclosure of login information occurs. You will remain liable for unauthorized use of the Sites until we are notified of the security breach by email. We do not claim ownership in any content or materials that you may post or submit through the Site. If you share or post content, including without limitation, your own research papers ("Submission") to the public or to public areas on the Sites, you understand that other users will have access to this content. By uploading, posting or otherwise offering the Submission, you expressly grant us a perpetual, paid up, royalty free, and worldwide license to copy, distribute, modify, display, and publish the Submission on the Sites. We may use any comments, suggestions, complaints or other feedback you provide to us regarding caseforest.com in any manner whatsoever for no compensation, attribution and without limitation of any kind.